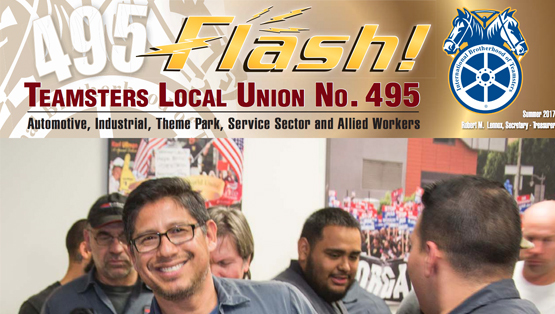 You belong to one of the most powerful and dynamic labor organizations in the world! You enjoy competitive wages, health, welfare and pension benefits, and solid representation. But, your Teamster membership also comes loaded with additional member benefits and bonuses! Click on this link: Teamster Privilege Programs to learn about additional money saving programs available exclusively to Teamster members and their families! All Work and No Play? Click on Discount Cards (PDF) to find out about the area’s entertainment discounts available to Local 495 members.